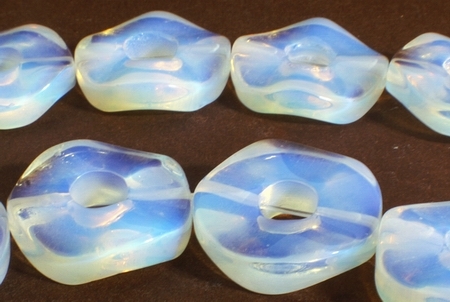 Price is per 16-inch strand of these unusual opalite moonstone beads, drilled all through as picture. Each easures a large 20mm x 5mm - about 20 donuts to the strand. Ideal to make 20 pendant necklaces or with matching earrings.